We’re back for the 2015 season! 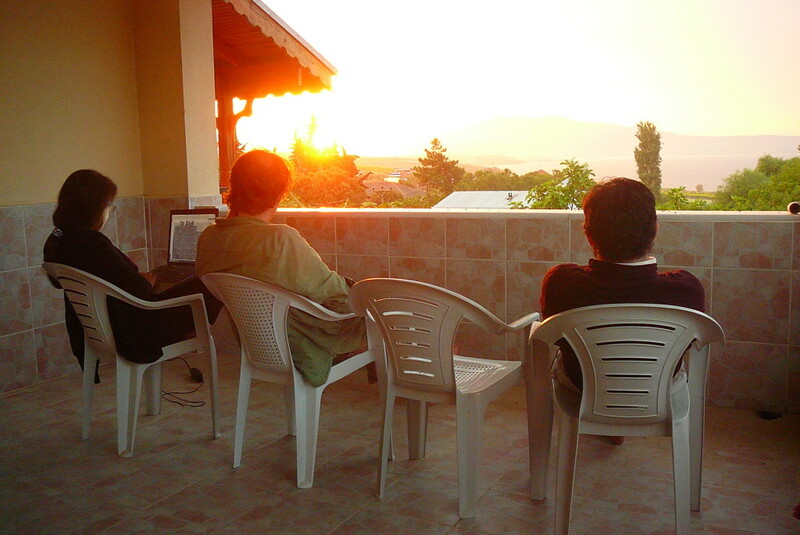 After a relatively-dormant winter, our first “voice” from the field season of 2015 comes from the geophysics team that has been working since mid-May at Kaymakçı, located in the western Turkish province of Manisa, on the shore of Lake Marmara (the ancient Gygaean Lake, for those who don’t remember!). Expect many more posts over the coming weeks and months. We hope you enjoy! 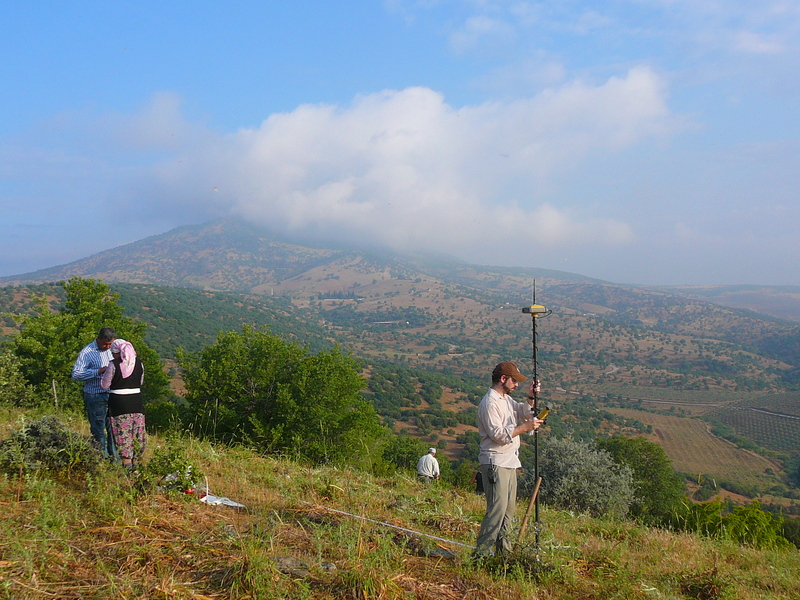 The 2015 season marks the fourth consecutive season of electrical resistance survey at the Late Bronze Age site of Kaymakçı. This year we are expanding our area of investigation to include previously unsurveyed parts of the site. For those unfamiliar with geophysics, the Gygaia Projects blog, or archaeology in general, “geophysics” refers to an aspect of the geosciences that concentrates on the characteristics and physical processes of the earth’s crust. Geophysical survey methods are used in archaeology to identify and isolate subterranean cultural remains. 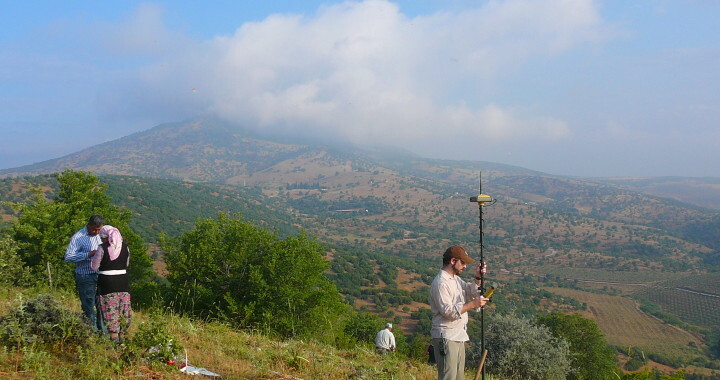 As a non-invasive, site-intensive survey method, resistance survey has proven particularly productive at Kaymakçı because of its local geological and natural conditions. By introducing a weak electrical current into the ground between probes moved at set intervals along a zigzag pattern, the technique allows us to distinguish stone walls from other man-made and natural features with differing levels of resistance to the flow of electricity. So far this season we’ve successfully surveyed 50 survey grids – 2 hectares! the 2015 Kaymakçı Geophysics team!! Posted in Geophysics, Survey, Technology, Voices.